Having spent my entire career in the field of Human Resources, I have witnessed many evolutions in this profession. During the early part of my career, our department was called “Personnel”— which no one seemed to be able to spell! I would receive interoffice envelopes addressed to “Personal,” “Personnell,” “Personel” and, rarely, Personnel! No matter what we were called though, it was always clear that we had challenging responsibilities as we were the “people side” of the company. We had to balance the wishes, needs and desires of the workforce, along with the realities of managing a successful business. I was fortunate in that the first CEO whom I ever worked for was a strong advocate for our department, and I have never met another CEO who was as much of a people person as this individual. Fast forward to the 90’s and Personnel evolved into Human Resources/HR which, fortunately, everyone seemed to be able to spell. Our mandate was much the same, but as massive changes have occurred in the workplace it seems like we’ve sometimes managed to forget the “human” part of the title. Businesses became more competitive, the workforce changed dramatically as new generations joined, and the requirement for HR was to become more of a business partner with management. That is, in addition to understanding the many legal requirements of our field, we also need to have an intimate understanding of our organizations and the competitive environments within which they operate. We need to understand the challenges of the various groups within our organizations so that we can recommend appropriate HR solutions. 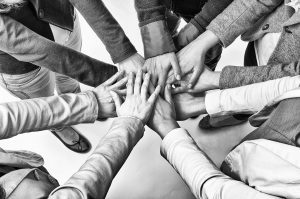 Throughout these times of momentous change, the business world sometimes has forgotten the “people part” of the equation. Sure, we talk about retention as an important HR success strategy, but it is equally important to remember that PEOPLE make up our workforce with all of their achievements, challenges, and foibles! As an HR professional, I strive to NEVER forget the people part and I feel honored to contribute to the success of my company through effective people management. Interested in learning more about a career in Human Resources Management, or want to take your skills to the next level? Check out upcoming HR classes and register online or by calling Customer Service at (425) 564-2263.